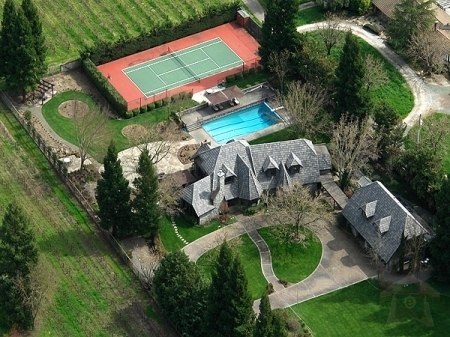 Sonoma Luxury Wine Country Estate - Pool, Tennis and Concierge. Estate in the Vines is one of Kenwood\'s premiere Luxury vacation rental properties located in Sonoma\'s Valley of the Moon, which boasts one of the most dramatic landscapes - Sugarloaf Ridge - Mt. Hood\'s signature peak. California\'s Sonoma County is home to dramatic coastal beaches, magnificent redwood forests, unparalleled wineries, pastoral back-roads with small towns, as well as this celebrated wine country Villa Rentals property. This beautiful Kenwood, California holiday rental is the perfect setting for a group of friends to share the wine country experience, a Girlfriend Getaway, a Romantic Rentals, family reunion or Group rental. Architecturally, the holiday rental estate near beach has been designed to blend into the landscape with natural hues, materials and textures, a feature of Wine Country design. The 2-acre vacation estate rental Kenwood, California is a vast complex of stone, fountains and streams of light amidst the backdrop of a vineyard setting. 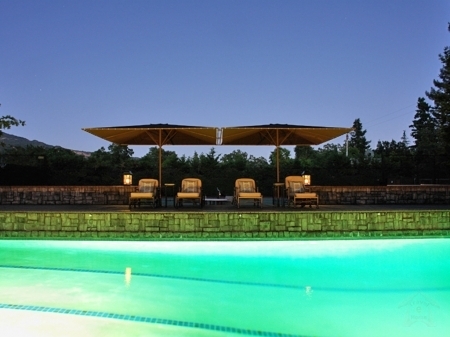 Enjoy the tennis court, swimming pool and hot tub or play bocce ball at your leisure. The interior layout permits guests to move easily from space to space. 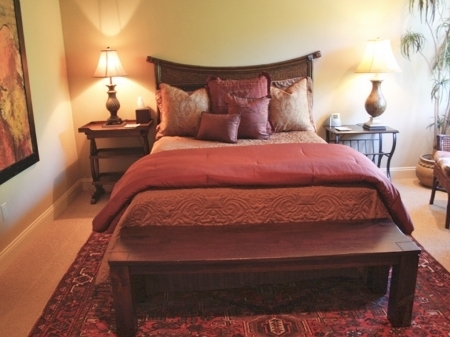 Every room is designed to be inviting and comfortable. 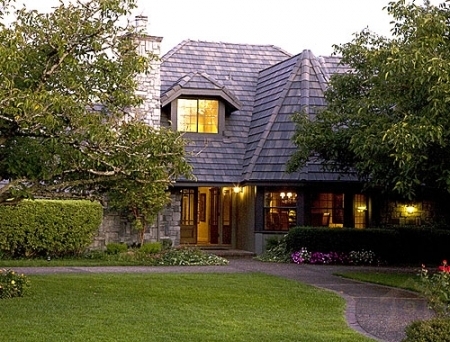 The 5,000 square foot Kenwood, California holiday rental estate features a gourmet kitchen, splendid dining areas and relaxed yet elegant living spaces to connect with family and friends. 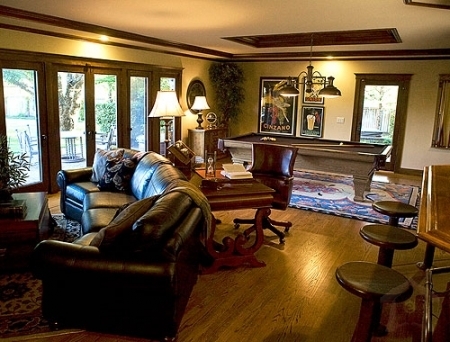 As the evening reaches its conclusion, our spacious 5 bedroom vacation rental home accommodations for up to 10 guests complete the ambiance for a perfect day. Kenwood, California Holiday Estate in the Vines combines ease of access and a sense of rural charm in a breathtaking wine country setting. Arrival to this spacious vacaion rental estate in Kenwood, CA is via a two-lane highway which meanders thru the valley floor. Following a beautiful scenic drive, a serene setting awaits you in its protected valley with sweeping views overlooking colorful hillsides. Our luxury holiday rental estate in Kenwood, CA offers a 5 bedroom accommodation for up to 10 guests. 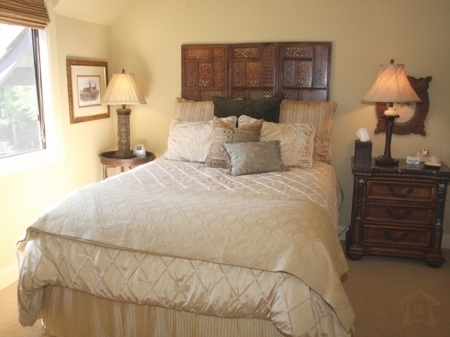 There are 3 bedrooms in the main house with 2 1/2 bathrooms. The attached 2 BR vacation condo rental, 1 1/2 bathrooms with a sitting area and mini kitchen. 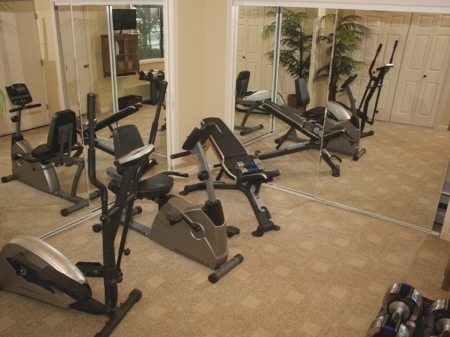 The Excercise Room is equipped with cardio and free-weight equipment. The Office provides a separate, quiet place to work, and provides Internet, Printer, Scanner and Fax Machine. In the heart of this glorius valley you\'ll enjoy picturesque scenery, experience world class wines and feast on culinary delights. Sonoma Valley is known for outstanding restaurants, unparalleled wineries, stunning countryside and fun-filled festivals. 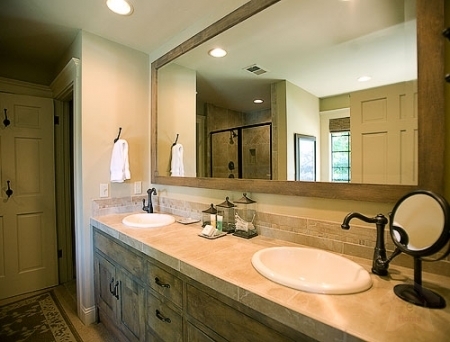 Rates subject to a 9% occupancy tax, cleaning and administration fees.